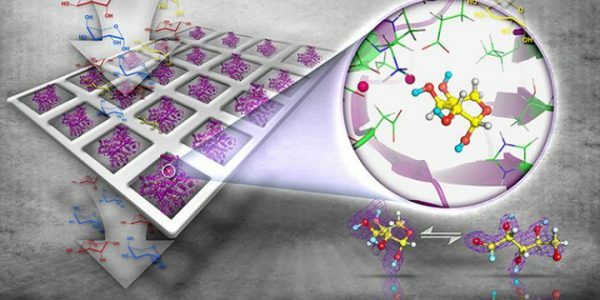 A team led by the U.S. Department of Energy’s Oak Ridge National Laboratory has unlocked the enzymatic synthesis process of rare sugars, which are useful in developing drugs with low side effects using a process more friendly to the environment. In a paper published in Structure, the research team reported the pioneering use of neutron and X-ray crystallography and high performance computing to study how the enzyme D-xylose isomerase, or XI, can cause a biochemical reaction in natural sugar to produce rare sugars. Unlike drugs made from natural sugar compounds, drugs made from rare sugars do not interfere with cellular processes. As a result, rare sugars have important commercial and biomedical applications as precursors for the synthesis of different antiviral and anti-cancer drugs with fewer side effects.